Home Uncategorized Congratulations to a 2nd place in the competition for the Becquerel prize award! 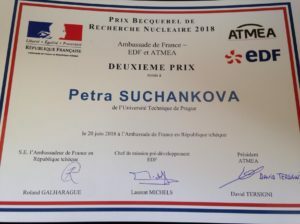 The participation of our Ph.D. student Ms. Petra Suchánková (Mičolová) in the Becquerel prize award competition resulted in excellent 2nd place. The prize is awarded by the Electricité de France and ATMEA companies together with the Embassy of the France in the Czech Republic. 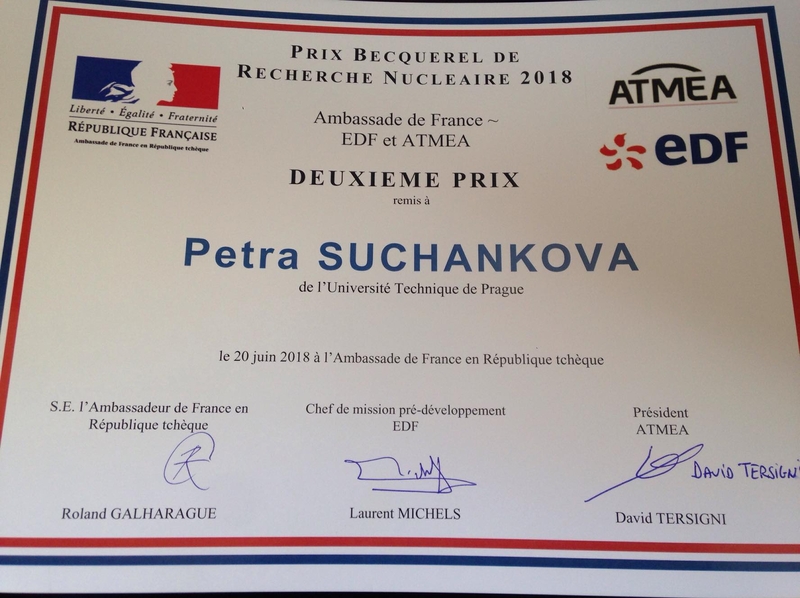 The prize was awarded to P. Suchánková for her Ph.D. research and developments in the field of preparation of novel advanced radiopharmaceuticals in the Kozempel´s group at the Czech Technical University in Prague. Cheers and our congratulations Petra!